Are You Suffering Memory Loss After Your Car Accident? 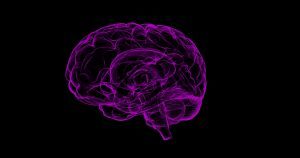 We wrote a post not too long ago about traumatic brain injuries (TBIs), many of which are caused by car accidents. One of the most common symptoms of a TBI is memory loss, which is often difficult to diagnose and can be even harder to treat. If you’ve been in a car accident and are wondering if you may be suffering from memory loss, we hope that this post gets you pointed in the right direction. 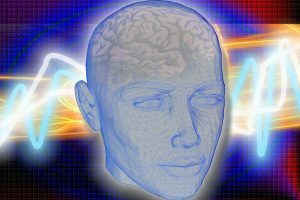 Brain injuries occur far more often than many people realize. According to the Georgia Brain and Spinal Injury Trust Fund Commission, 1.7 million Americans suffer a traumatic brain injury (TBI) each year. Of those, 52,000 will result in death, and 275,000 will be hospitalized. In their most recent study, Georgians suffered 15,608 traumatic brain injuries as of March 2017, more than half of which were caused by car accidents. If you’ve been in an accident and hit your head, you may have suffered a brain injury that could lead to lasting complications. The CDC defines a traumatic brain injury as “a bump, blow, or jolt to the head that disrupts the normal function of the brain.” The CDC notes that traumatic brain injuries encompass a range of injuries from mild to severe. The most common mild TBI is a concussion, but we know that even mild concussions can have long-term consequences. Car accidents can lead to a number of injuries, including bruises, broken bones, and whiplash. One of the more severe injuries that are common in car crashes are brain injuries. According to the Centers for Disease Control and Prevention, 14.3% of all traumatic brain injuries are caused by car crashes, affecting roughly 2 million Americans per year. These types of injuries are so severe because the brain is the most important organ in the body, and even minor injuries to it can have long-ranging and life-altering effects. Traumatic brain injuries are caused by violent blows to the head, either from being struck with an object or from the head coming into contact with a hard surface. There are two types of traumatic brain injuries: open and closed. An open traumatic brain injury occurs when a foreign object pierces the skull and enters the brain. A closed traumatic brain injury is caused by a bump or a blow to the head. Because closed head injuries are much more common than open head injuries in car crashes, that is the type that we will focus on here.